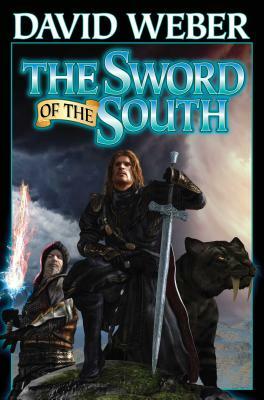 #1 in a NEW EPIC FANTASY SERIES by 28-time New York Times and international best seller David Weber, set within his Bahzell Bahnakson/War God universe. A swordsman who has been robbed of his past must confront an evil wizard with a world at stake. Wencit of Rum, the most powerful wizard in the world, knows the answers to Kenhodan's questions, but he can't or won't share them with him. Except to inform him that he's a critical part of Wencit's millennium-long battle to protect Norfressa from conquest by dark sorcery. Bahzell Bahnakson, champion of Tomanak, doesnt know those answers and the War God isn't sharing them with him. Except to inform Bahzell that the final confrontation with the Dark Lords of fallen Kontovar is about to begin, and that somehow Kenhodan is one of the keys to its final outcome. Wulfra of Torfo doesn't know those answers, either, but she does know Wencit of Rm is her implacable foe and that somehow Kenhodan is one of the weapons he intends to use against her . . . assuming she can't kill both of them first. But in the far northern port city of Belhadan, an eleven-year-old girl knows the answers to all of Kenhodan's questions. . . and dares not share them with anyone, even the ancient wild wizard who loves her more dearly than life itself.